It's frequently a challenge as to what one should do with all of the scrap tires that get dumped in our neighborhood. There's lots of them. 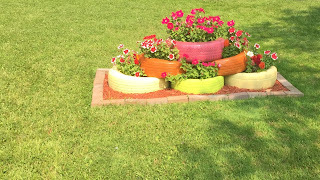 However, I love what one homeowner on Brace Street did with a half dozen scrap tires and some paint. 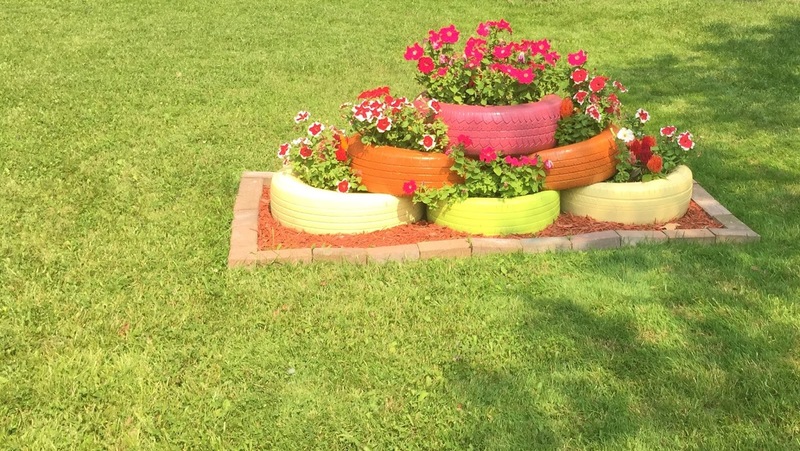 With a little bit of innovation, these scrap tires went from yet another eyesore to an attractive flower bed on their front lawn.